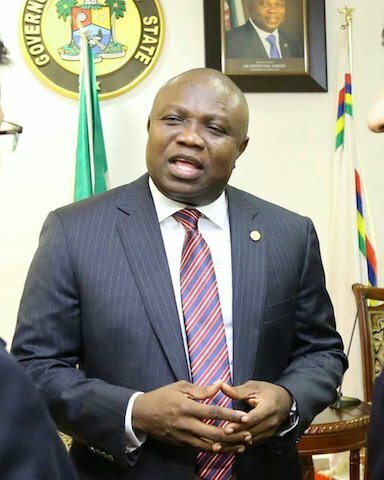 Ambode swears in new Lagos commissioners – Royal Times of Nigeria. Governor Akinwunmi Ambode of Lagos State on Monday swore in five new members of his cabinet. Mr. Ambode charged them to, as a matter of necessity, adopt new methods to achieve greater efficiency and increased productivity. Mr. Ambode told the new cabinet members, “Given the cosmopolitan nature of our state and the peculiar challenges of a mega city, we cannot afford to rely on the status quo approach to providing solution to new and emerging issues. “This, however, does not preclude the initiation of new projects that are considered highly essential and critical to the general well-being of our people. The five new members include Olayinka Oladunjoye as Commissioner for Commerce, Industry and Cooperatives; Segun Banjo as the Commissioner for Budget and Economic Planning and Oladipo Lawanson as the Commissioner for Transportation. Others are Akeem Fahm, Commissioner for Science and Technology, and Omoyele Sulaiman, the Special Adviser to the governor on Community and Communications. Breaking: Presidency cancels FEC meeting over party primaries.